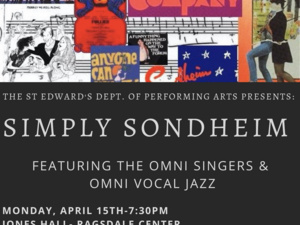 Join the Omni Singers & Omni Vocal Jazz as they perform some of Sondheim's most memorable songs along with a few lesser known treasures. Featuring music from: Company, Into the Woods, Merrily We Roll Along, Sweeney Todd, and more. This is a show for both those new to Sondheim's music as well as the die hard fans!